It’s a snowy day in mid-March, and I am sitting in the exquisite interior garden of the Isabella Stewart Gardner Museum in Boston, Massachusetts. Enjoying an almost overwhelming sensory experience, I savor the fragrances of the various ferns and flowers and feel a slight moisture on my skin from the humid air as I take in the stunning paintings, sculptures, and art objects, and smile at the gentle sounds of insects and amphibians that float upwards through the three-storied structure. Except, the sounds of insects and amphibians are not actually such. In fact, all the sounds populating the courtyard in the former home of Mrs. Gardner (1840–1924), the noted philanthropist and art collector, all emanate from one place: recordings of a single human voice, that of Taiwan-born artist Lee Mingwei. This multi-channel sound installation titled “A Small Conversation” is part of a larger ongoing sound art exhibition called “Listen Hear, The Art of Sound.” “Listen Hear” opened on 8 March and gracefully illuminates the museum and beyond through the work of artists including Su-Mei Tse, Phillipe Rahm, Helen Mirra and Ernst Karel, Teri Rueb and Ernst Karel, Philip Beesley, David Grubs, Moritz Fehr, and O + A (Bruce Odland and Sam Auinger). “A Small Conversation” was inspired by the artist’s childhood in Taiwan, thousands of miles away from Boston. The installation is the artist’s own recorded voice, mimicking the sounds of a bamboo forest in YonMinShan, Taiwan, filled with cicadas, crickets, frogs, and geckos. It turns out that, because of art conservation efforts, all insects in the museum’s garden were exterminated. With the opportunity to compose a sound piece, Mingwei sought to re-create the illusion of another world, on top of the artificial world of the museum’s garden. 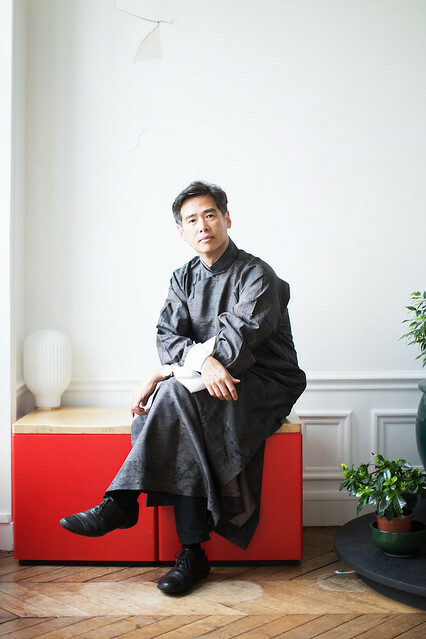 Mingwei is no stranger to The Gardner, as he was an artist in residence here in 2000. In fact, since moving from New York to Paris a year and half ago, Lee Mingwei now calls the museum his US home. “It’s a very beautiful place to come back to,” he says. 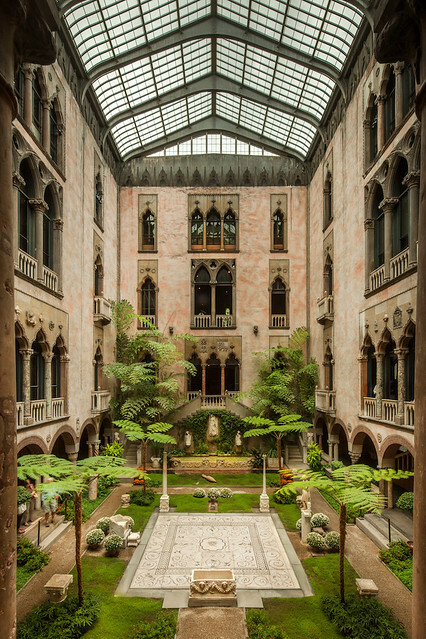 Something the artist continually revisits is his “Living Room Project,” an actual gallery-turned-living-room in the Isabella Stewart Gardner Museum, which contains furniture, books, and even a Fife canary. Members, museum staff, and other guests are invited to act as hosts, sharing items from their personal collections with others. In this way, the salon atmosphere initiated by the museum’s founder continues. The work of Mr. Lee is often participatory and creates open-ended scenarios. Perhaps the most compelling aspect is how responsive the work is; often from a personal place, yet once created, the work takes on a life of its own. Due to the constructed situations of shared experience, participants infuse their own creativity, beauty, and concern for others into the work. Such benevolent gestures originate simply, such as the offering of a song or flower between strangers. While the gesture may be fleeting, the effect and beauty endure in museums, galleries, and personal collections all over the world. One could say that this artwork both embodies and transcends Buddhism in that it is rooted in the qualities of compassion, kindness, and spontaneity. By creating open-ended scenarios, complete strangers can experience a moment of purity and interconnectedness that might not have otherwise been apparent. “It’s about compassion. It’s about sharing and understanding each other,” the artist says. For example, in a project called “The Moving Garden,” a black granite table 45 feet (14 meters) long is placed in a museum, and every day is filled with fresh flowers. Each participant is allowed to choose a flower upon leaving, but is asked to do two things: the first thing the artist asks is that when leaving the museum the participant must take a detour. In other words, instead of going home or going about their day in a habitual travel pattern, the participant must take an alternative route. The second instruction is to give the flower as a gift to a complete stranger. It sounds simple, and in fact, the act of offering a flower can come from a sincere place. Yet, it can be difficult, Mingwei says, as we negotiate the obstacles of fear and hesitation. Yet, from such a simple gesture as offering a flower, participants often experience profundity. Mingwei tells me he does not encourage documentation of this work, preferring to emphasize the moment of experience. Still, he does occasionally receive emails from participants who offer stories of remarkable and unexpected connection. In “Sonic Blossom,” a performance piece now in the permanent collection of Boston’s Museum of Fine Arts and soon to come to the Gardner, Mingwei transforms a painful personal memory into an act of grace. The piece consists of a singer offering a stranger the gift of song. When he was taking care of his mother during an illness, Mingwei would play her short Lieder (art songs) by Franz Schubert. He extends this gesture to strangers in museums. Each performance begins with a singer walking through the museum to choose a receiver, who then sits to listen to the performer. This piece could said to be an intervention into conventional museum discourse, where hundreds of visitors pass each other anonymously, rarely interacting. Again we see Mingwei extending the boundaries of art. In 2004, Mingwei was asked to create a piece for the opening of the Queensland Gallery of Modern Art in Brisbane, Australia. He was inspired to plant a sapling of the Bodhi tree, brought from Bodh Gaya to Sri Lanka by Sanghamitta (281–202 BCE), a Buddhist nun and daughter of the emperor Ashoka. In order to realize this vision, Mingwei traveled to Sri Lanka, and after four years of effort, was successful in this endeavor by explaining to the senior monk of the temple in Anuradhapura that the tree would grow in front of a contemporary art museum, a place that many people visit with the same reverence that they would a temple. When he returned to collect the sapling from Sri Lanka and transport it to Australia, Mingwei found that the local villagers and resident monastics had been chanting in Pali for the previous 24 hours to bless the sapling for its journey. Today, the tree is blessed on Vesak Day by the chanting of Taiwanese nuns, who reside in Australia. Next for the artist is a performance of “The Mending Project” at the upcoming Venice Biennale. “The Mending Project,” in which Mingwei and volunteers repair clothing with colored threads, originated in his efforts to repair clothes for the survivors of the September 11 terror attacks in the US. In the work, participants may bring any clothes that need mending, and they are then required to sit at the mending table across from the mender. Usually, a conversation takes place, except in places where Mingwei does not speak the language. In these cases, another kind of sharing emerges, and upon completion of the task, the colorful mending threads stemming from the gallery walls remain connected to the repaired garments. The garments are left on the mending table until the end of the performance, after which the participants can come to collect them. It can be said that the threading functions as a metaphor for interconnectedness. Reluctantly, I put away my journal, pack up my bag, and say goodbye to the plants, flowers, paintings, sculptures, furniture, textiles, works on paper, and other objects that were once all contained within a private home. The home of Mrs. Gardner is now generously open to anyone who wants to come and share it. I wonder how many out of all the visitors today actually realized that the garden sounds are fabricated and not natural, but instead recorded and played back through tiny speakers. How many read the exhibition text that says so, and how many just glided by enjoying the quiet euphony with their loved ones or perhaps just quietly in the depths of their private selves. Perhaps it doesn’t matter. As I turn a final time to glance back and take in the overwhelming beauty, one thing is clear. Filled with peace, calmness and delight, I don’t want to leave. “Listen Here, The Art of Sound” is on exhibit in Boston until 5 September 2017.